First Equine Veterinary Services is officially up and running! We have had the pleasure of meeting many of you over the past month and have really enjoyed getting to know the local equestrian community. We pride ourselves on offering state of the art veterinary care to your horse while at the same time being compassionate and flexible. We are on call 24/7, 365, please let us know how we can help you. In December we traveled to Orlando Florida for the American Association of Equine Practioners Convention. We are excited to bring back the latest in equine healthcare to your farm. Additionally, Dr. Brittany will be attending an advanced Equine Acupuncture course in January, so stay tuned for highlights from that. 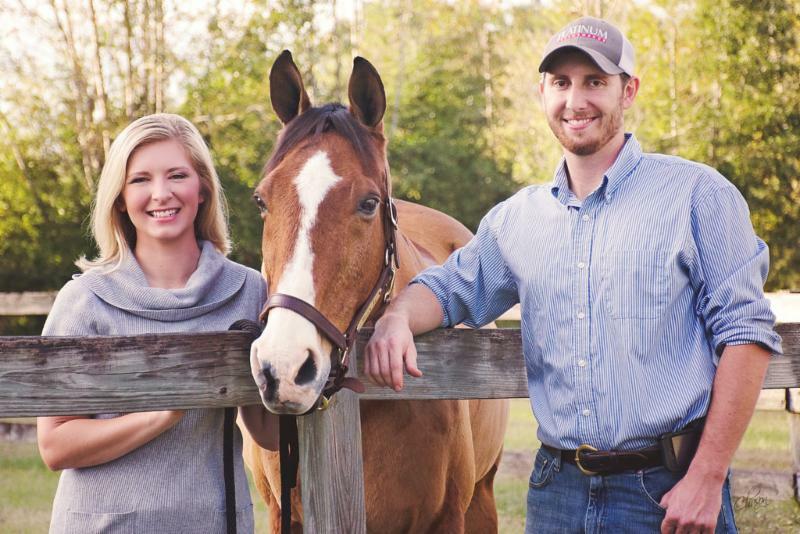 We look forward to being a part of your equine team! Is your horse dropping feed, uncomfortable on the bit, or losing weight? It may be a dental issue. 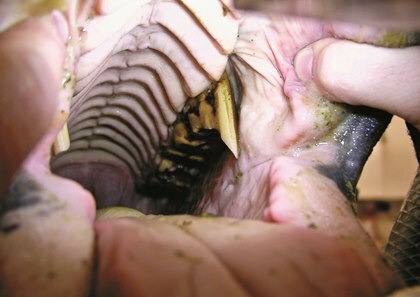 With a complete oral exam, dental pathology can be treated and the horse floated appropriately. Call today to get your horse scheduled! With Spring just around the corner, now is the perfect time to get your horse prepared for the show/riding season. This month we are highlighting our Podiatry Series Radiographs! These xrays of the foot help your farrier to balance the foot as well as determine any underlying pathology. 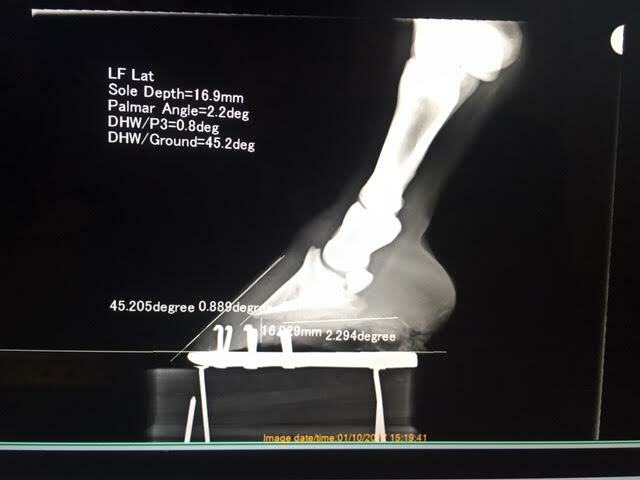 With our state of the art wireless digital xray we will take 2 images of each front foot and add in measurements and angles to better assist the farrier in shoeing/trimming. Common abnormalities found include: negative palmar angle, thin soles, broken back hoof pastern axis, rotation of p3, side bone, coffin joint arthritis, and pastern joint arthritis.